Seasonal Affective Disorder, or SAD, is an affliction that causes depression during the time of year when the days are shorter and there is less sunlight. But office workers who sit in little cubicles with no natural light all day are prone to developing similar sun-starved attention to matter the time of year. 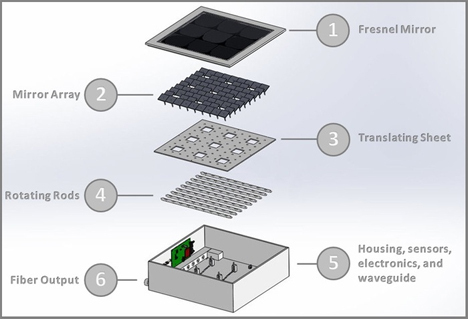 A system called Light Bandit is on the cusp of revolutionizing our daily sunlight consumption. Developed by product development company ThinkTekk, the Light Bandit looks simple but uses some really clever technology to transport actual sunlight to the far inner reaches of a building. 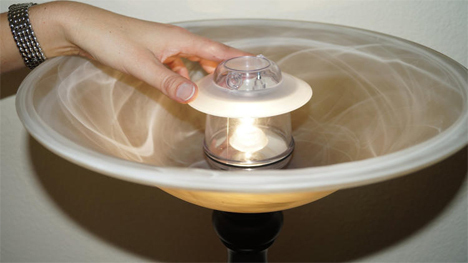 To use the Light Bandit, you place a box about the size of a window fan in your window. Mirrors collect sunlight all day. Sciencey things happen inside, and then the sunlight is carried via optical fibers to anywhere in the building (as long as it’s within 30 feet of the window – a limitation we hope will be overcome with future development). You just plug one end of the tube into the box and lead the other end to any place you need a little sunshine. 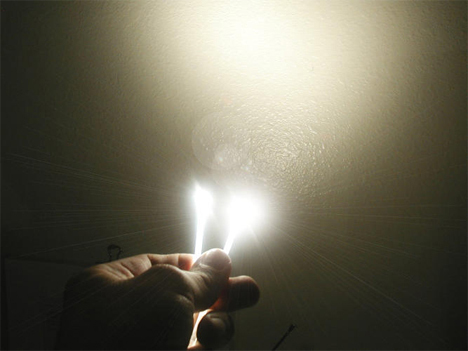 The end of the fiber can be plugged into a special light fixture – one that resembles a fluorescent light or one that resembles a bulb – to illuminate it with the power of the sun. 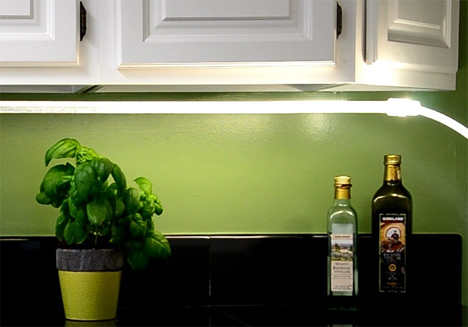 The light fixtures never get hot like regular bulbs so they are completely safe. Absolutely no electricity is used at any point in the Light Bandit system. A room illuminated with the Light Bandit looks just like it’s lit with natural light from a window. The reason for that is simply because it is real, actual sunlight that’s been carried to a new location. Internal filters remove the heat-generating infrared waves and harmful UV waves so there’s no danger in using Light Bandit fixtures. One of the drawbacks of the Light Bandit is that it can’t keep the light shining after the sun has gone down – but you wouldn’t get that sitting near an actual window, anyway. The gadget gives you a daily dose of sunlight that you might not otherwise have access to, maybe staving off SAD or at least the driving desire to go sunbathe near the office windows when you should be working. The company is currently looking for funding on Kickstarter for their first large production run. See more in Energy & Power or under Science. December, 2014.